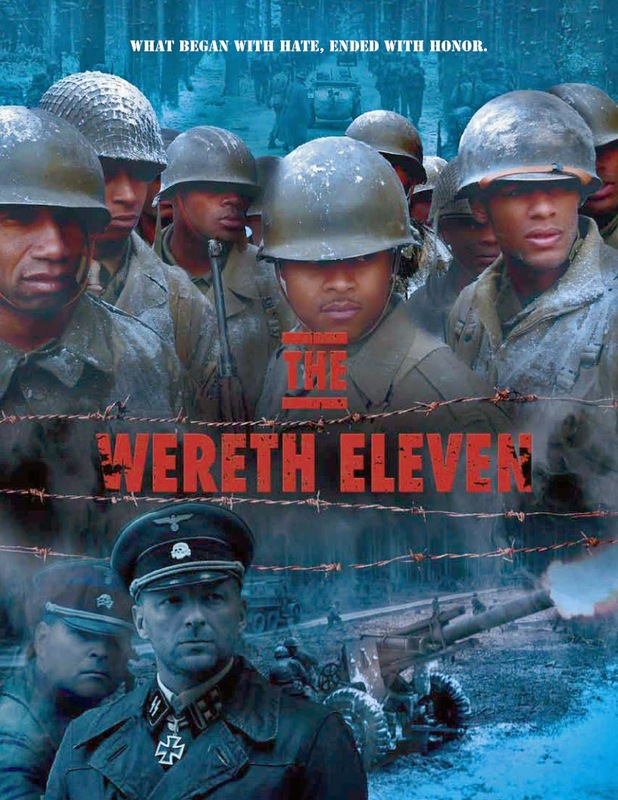 This remarkable docudrama, written and directed by Robert Child, chronicles the story of 11 African-American soldiers who were captured and brutally murdered near Wereth, Belgium, by the Nazi SS during the Battle of the Bulge. The men were members of the 333rd Field Artillery Battalion, and their terrible tale has been called one of the least-known atrocities of World War II. Amazon Review (January 18, 2018) "About As Good As It Gets"
"I actually would give this 4.5 stars if I could. It's as close to a perfect documentary as I believe possible. The writing was very good and well thought out. Excellent backstory and build to the main "meat" of the subject. I felt all the information given was pertinent to the events with no added fluff. The archival war footage was paired very well with the survivor's accounts during their interviews and it appears that actual footage of the events was used whenever possible, unlike many war doc's that seem to use the same old kamikaze/explosion/damage scenes repeatedly. 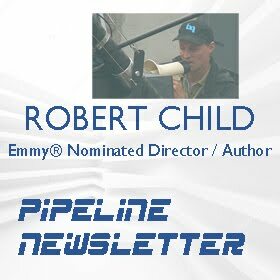 The producers picked the perfect narrator who's credentials add believability and reliability to the story being told. The ending was satisfying and leaves the viewer feeling like he now knows the whole story, even if bittersweet. 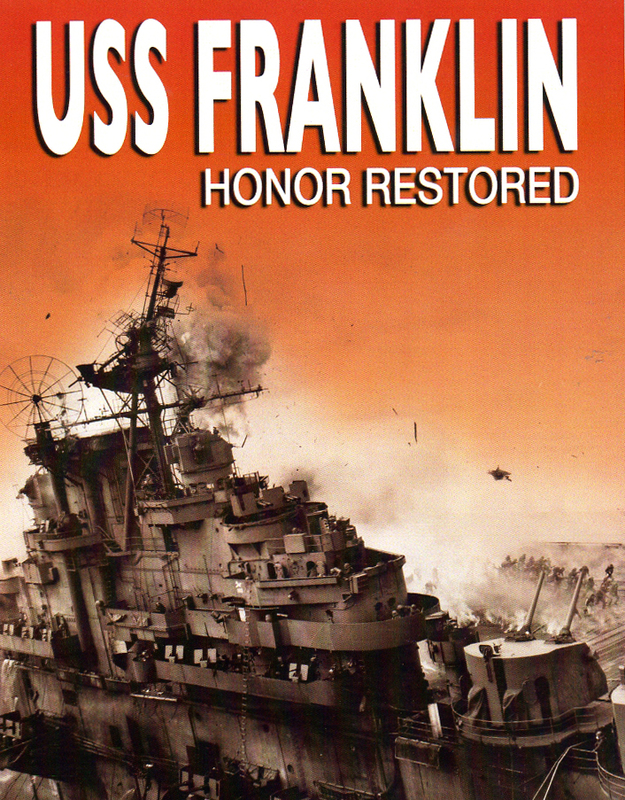 If this telling of the USS Franklin and her crew's time in service doesn't stab you in the heart just a little bit, nothing will." Amazon Verified Purchaser. What kind of man does it take to fly an aircraft without a motor or a parachute? 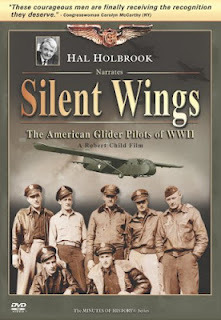 Hal Holbrook narrates this fascinating documentary on the diverse group of pilots who flew unarmed cargo gliders deep into enemy territory during World War II. Incorporating rare archival materials with illuminating commentary, the film dramatizes the story of 6,000 Americans who had the right stuff at a crucial time in history. 113 min. Widescreen (Enhanced); Soundtracks: English Dolby Digital 5.1, Dolby Digital stereo. 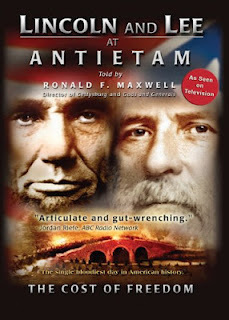 The bloodiest battle ever fought on American soil is thoroughly examined in Lincoln & Lee at Antietam: The Cost of Freedom, a worthy addition to anyone's Civil War video collection. Directed and written by Robert Child and narrated by Ronald F. Maxwell (the director of the definitive Civil War epics Gettysburg and Gods and Generals), this straightforward, no-nonsense documentary emphasizes the tactics, strategies, and historical context of the battle at Antietam, in Sharpsburg, Maryland, on September 17, 1862. Further emphasis is placed on the wartime conditions (political agendas, ready status of armies, etc.) 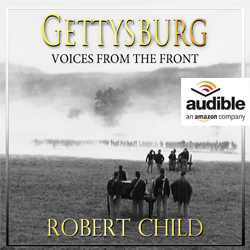 that led to President Abraham Lincoln's orders to defeat Gen. Robert E. Lee's exhausted army at Antietam. Lee and other Confederate strategists had hoped to stage a surprise invasion, but Lee's battle plans fell into the hands of the Union army, and Lincoln's victory--which was essential to his issuance of the Emancipation Proclamation to end slavery--turned Antietam into the pivotal battle of the war. 3 & 1/2 Stars out of 4! 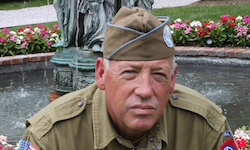 "Culled from diaries, letters, historical photographs, and government reports, the PBS aired Gettysburg: The Boys in Blue & Gray presents a thrilling reenactment of one of the greatest battles of the Civil War. Filmed in five states, with seven full scale battle scenes, this professional production, created with the participation of hundreds of re-enactors, employs a strong narrative format highlighted by the observations put forth in a 175-paragraph letter by Lt. Frank Haskell an aide de camp to Union General John Gibbon. Taking its cue from the Ken Burns school of documentary filmmaking, the program mixes archival photos, readings, and music, to serve up a stirring, realistic, and thoroughly informative look at a battle that signaled a major turning point in the Civil War. Highly recommended." Video Librarian Nov-Dec 2002 Issue. 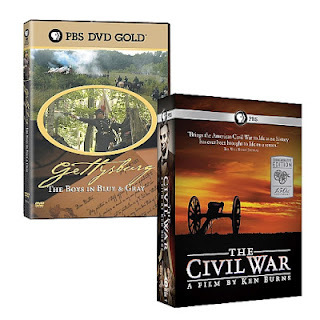 2011 marks the 150th anniversary of the start of the Civil War, and Ken Burns' Emmy® Award-winning epic documentary THE CIVIL WAR is now available in a new Commemorative Edition. Digitally enhanced, it features never-before-seen interviews, commentary from Ken Burns, a 16-page collector's booklet and more. THE CIVIL WAR tells the story of a country that had to divide itself in two in order to become one. Hailed as a film masterpiece and landmark in historical storytelling, Ken Burn's epic documentary brings to life America's most destructive - and defining - conflict. 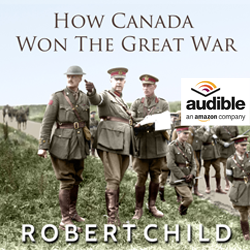 With digitally enhanced images and 5.1 surround sound, here is the sage of celebrated generals and ordinary soldiers, a heroic and transcendent presodent and a country that had to divide itself in two in order to become one. - 16-page collector's booklet featuring a selection of photos and battle details. The sweeping epic of the largest battle ever fought on American soil emerges in GETTYSBURG: THE BOYS IN BLUE & GRAY. In mid-July 1863, Union Lt. Frank A. Haskell wrote a vivid account in a letter to his brother. Compelling words from Haskell and other soldiers on both sides re-create the action. 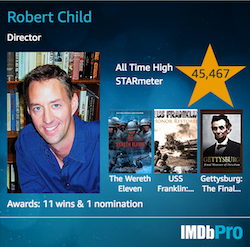 Filmed in five states and in the Gettysburg National Military Park, the film shows seven full-scale battles. CD holds the complete original soundtrack.